We are manufacturing CPAs and consultants that help companies across Florida with their accounting and business needs. After years of economic uncertainty, manufacturing is on the rise—a trend that is forecast to continue in the coming years. Businesses and consumers are spending more, resulting in higher demands for manufacturing companies to fill. Shortages in skilled labor limit your capacity, making it difficult to keep up with market demands. You struggle to make sense of IRS requirements and business regulations and wonder where to begin when it comes to money-saving strategies. You have tremendous investments to make on new and existing equipment, expansion, raw materials, hiring, and developing your organization’s future leaders. Compliance with environmental and other regulations takes its toll, both operationally and financially. Using manufacturing CPAs and an accounting firm that understands these hurdles to your success is the best way to overcome them. At James Moore & Co., we have dedicated manufacturing CPAs that are tuned in to the needs of your industry. With our knowledge of and involvement in your industry, we can help you with everything from outsourced CFO services to human resources issues. 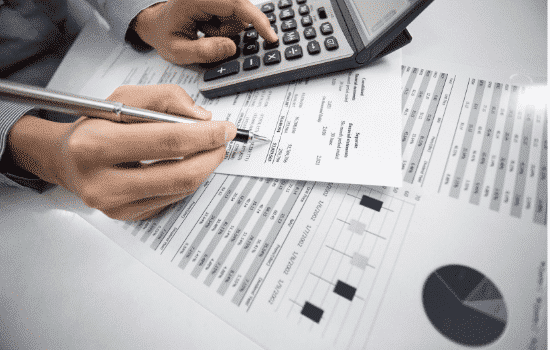 In manufacturing, your financial statements are a critical factor in obtaining loans and other means of funding. The more you can verify that your firm practices solid financial reporting, the more likely you’ll secure the financing you need. Whether you need a loan or just want a second set of eyes looking at your internal staff’s work, assurance services from James Moore play a key role in having sound financial statements. As manufacturing CPAs, we can provide any level of assurance that you need—from one-page compilations to full-on audit reports. So you can have confidence that your financial reporting is accurate and meets bank requirements and general industry standards. Our assurance offerings also include audits for employee benefit plans. A solid and generous plan does more than reassure existing employees; it also attracts more qualified candidates for job openings. Verifying your plan’s integrity shows your team that they can depend on you to help provide for their future. Tax planning can be complicated for manufacturers thanks to endless tax codes, regulations and stipulations. Hidden among these complexities, however, are also numerous avenues to improve your bottom line while reducing your tax obligations. All you need is an expert to help you find them. Tax credits abound for research and development/experimentation, workforce development, major purchases, exportation of domestically produced goods and more. These and other options can help your company keep more of its hard-earned revenues. A creative tax strategy looks at all of these possibilities and leverages them to your advantage. Our manufacturing CPAs understand not only the ins and outs of general tax strategy, but also the needs of your industry and the resources available to you. We’ll help you with the complex issues you face and devise a solution that works for your company, your employees and your family. You’ve led your company to financial success so far, and you know there’s more it can achieve. Beyond the day-to-day accounting work, however, you’re not sure how to continue that success moving forward. Many larger firms have a chief financial officer to help oversee financial operations and guide the company in its biggest strategic decisions. Thankfully, you don’t need to be a big company to have this kind of expertise at your disposal. Outsourced CFO services provides you with the expertise of a chief financial officer without the full-time CFO salary. Our manufacturing CPAs have decades of experience helping clients in your industry make the tough, high-level choices that will impact your firm for years to come. Our manufacturing CPAs will provide an experienced point of view for internal control analysis, cash flow projections, budget assistance, grand compliance and monitoring, cost analysis, training of your staff and more. With the upswing in manufacturing, you face an increasing need for qualified workers. Many employees in the industry are nearing retirement age, while the next generation has pursued work in other industries. And if you don’t have a qualified workforce, you can’t fill market demands. As a result, manufacturers are turning to outsourced human resources service providers to address these needs. From recruiting and hiring employees to ensuring compliance with DOL regulations, external HR consulting can help you maintain a productive workplace that attracts and keeps the talent you need. Our HR Solutions team brings decades of combined human resources experience to the table. And our partnerships with HKP and HKFS, affiliated national workforce and financial services companies, put even more knowledge of human resources, retirement plans, payroll and more to work for you. A successful company is often known as much for its leader as it is for its work—especially when that leader has earned the trust and friendship of clients. So when the time comes for you to step aside, be sure that whoever fills those shoes is ready to wear them. Your company’s future leaders need skills in operations, finance, leadership, communication and strategy. It’s also important to provide a clear path to the helm so they know what is expected of them. Our training and development programs help you give future leaders in your company the tools they need to ultimately take the reins. We also teach methods to better your company’s performance, such as managing finances and improving processes. By teaming with partners like Velocity Advisory Group and area business leaders, we can provide the most thorough and practical instruction for you and your company. Where do you need help? Keeping up with market demand is a challenge unto itself. But when you couple that with redundant processes, wasted efforts and lack of quality control, it can cost you time and money. And that doesn’t just go for the plant floor; your accounting, human resources and other administrative processes can easily get mired in wasteful practices. Streamlining and properly managing your company’s operations allows you to better utilize your resources across the board. Our Operational Excellence team applies Lean Six Sigma principles to analyze your processes and develop sustainable solutions that work for you. We use Lean Six Sigma methodology to improve the efficiency, consistency and productivity of your processes. We also offer LSS Green Belt certification courses for your team members to help you sustain your changes. While you keep up with increased demand, you also need to keep an eye on the future of your company. What are your long-term goals? Will you grow and diversify your product lines? How should you prepare for when an economic downturn hits? Preparing for these developments requires investigation and planning. Otherwise you risk being left behind while your competitors thrive. A strategic plan allows you to proactively manage whatever the future holds for your company. And having advisors with years of experience is the first step in the process. The manufacturing CPAs at James Moore will help you establish priorities, create and refine your goals and develop clear steps to create your strategic plan—so you and your team can move forward with confidence. Your IT network is the backbone of your company. It provides you with quick access to vital information, whether you’re in the office or on the plant floor. It allows for timely communication and makes sure your data is secure. Without a sound network, you wouldn’t be able to operate. So you need a technology provider who can keep it running. Our Technology Solutions Consulting department helps manufacturing companies with everything an in-house IT department would handle—from routine troubleshooting, maintenance and equipment installation to long-term technology planning and employee training. As a Microsoft Gold Certified Partner, we keep up with the latest developments and techniques to make sure our clients’ networks have the best possible care. Whether you need a single consultation or a full complement of managed IT services, our team is ready to keep you connected. Families or close associates often work together at companies that stay in business for decades. So it’s expected that such a company will continue operating long after someone steps down. Yet many owners have no written transition plan established. Leaving the helm might seem like a long way off, but time moves quickly and life doesn’t always go as planned. A written transition plan ensures that your vision for your firm is fulfilled and protects your employees, your customers and your family. Our manufacturing CPAs have the industry knowledge to help manufacturing firms prepare for an expected (or unexpected) transfer of ownership. By establishing and documenting the steps to be taken when the time comes, you and your team will have peace of mind that nothing is left to chance. Managing investments, retirement and taxes can be so confusing and overwhelming that some people choose to just not think about it. That might be easier in the short term, but it won’t get you any closer to meeting your financial goals. The best way to build your financial future is to work with an advisor who understands the steps. Our manufacturing CPAs understand not only your industry, but your goals as well. We know the sacrifice it takes to achieve them, and we have the accounting knowledge to make them a reality. We also partner with HK Financial Services, a national wealth management company that specializes in helping accounting and law firm clients. Together, we provide the experience, knowledge and connections you need to make sense of the details and achieve your dreams. Contact us today to see what we can do for your company. A large welding company was concerned that it wasn’t making the most of its tax strategy in regards to deductions and credits. James Moore was hired to see what could be changed in its approach. Our manufacturing CPAs met with the owner to discuss how the company operated and gain a holistic understanding of its challenges and plans. Once this understanding was reached, we reviewed the company’s tax returns from previous years to see if they were in line with the company’s goals. We found that the company was not taking advantage of the manufacturers’ deduction, and that there were other non-manufacturing opportunities that had also been missed. As a result, we were able to amend their previous tax returns, which resulted in over $100,000 worth of tax savings.